Gibraltar Air Terminal Ltd (GATL) is the owner of all the CCTV images viewed and recorded with the Air Terminal’s CCTV system. The CCTV system will be operated fairly, within the law, and only for the purpose for which it was established or which are subsequently agreed in accordance with the GATL CCTV Code of Practice. Monitoring of all airport operations. This includes all the organisations who work at the airport including but not limited to, GATL, BCA, Gibair, AFRS and ISGL. Traffic flow and management. Left or abandoned vehicles in the Underpass. Air Traffic, vehicular, equipment, personnel and passengers movement on the ramp, taxiways etc., with particular attention at protecting the Air Terminal Critical Part boundary. Quality standards management. Queue management. Airport (GATL & BCA) and Government (Director of Civil Aviation/Civil Aviation Security Regulator) regulatory compliance and monitoring. Dealing with emergencies, contingencies or any other incident with a potential to cause injury to persons or damage to property in or around the Air Terminal. Protection of staff and passengers from assault. To protect staff from allegations of assault or improper behaviour. Enforcement of EU security regulations. Vehicular / equipment movement. Immigration, Customs and Police. Prevention and detection of crime. Apprehension and prosecution of offenders. Evidential / court proceedings. Airport and Government regulatory compliance and monitoring. 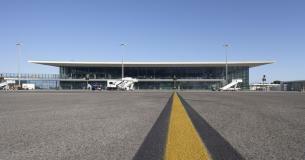 a) Gibraltar Airport Terminal Ltd – Operational Purposes, Safety and Security. h) HMGoG ITLD – System maintenance. Images may be shared with any of the above organisations.